This content is provided by Christopher DiAngelo. Managing partner of the firm’s New York City office and member of the firm’s Executive Committee. Practice focuses on financial services/structured finance. With more than 30 years’ experience in the financial services industry, Chris represents a wide variety of clients, including issuers, lenders, trade associations, underwriters and government agencies on a variety of programs and projects, including asset-backed debt, municipal debt, straight corporate debt and equity, warehouse lines, regulatory matters, and acquisitions. 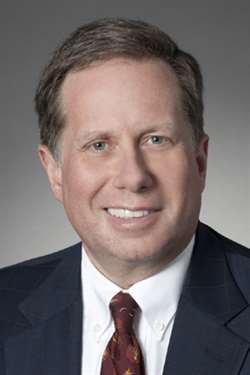 He is a member of the Editorial Board of the Journal of Structured Finance and of the New York State Bar Association’s Managing Partner Board of Advisors, and has also served on the Board of Directors and on the Executive Committee of the securitization industry trade association, the Structured Finance Industry Group. Joined Katten in 2010; Dewey & LeBoeuf 1984 - 2010, Partner since 1992. JD, 1984, Columbia University Law School; MA, Economics, 1981, City University of New York; BA, Economics and Religion, 1979, Williams College.